The indicator determines the start of a flat by three bars and displays it in the form of a channel. The channel may be extended and lengthened in the formation progress. The completion of flat is determined by the channel breakdown, in case a new bar closes outside the channel beyond 2 points. The breakdown is marked as an arrow: the upper channel line breakdown is indicated as an up arrow, the breakdown of the lower channel line - down arrow. 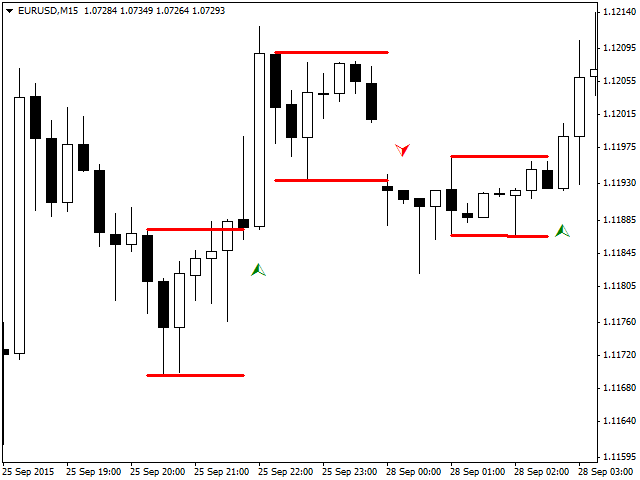 If the indicator determines a new flat after the breakdown of channel, the new channel will be formed. It can visually merge with the previous channel, but does not overlay the color. 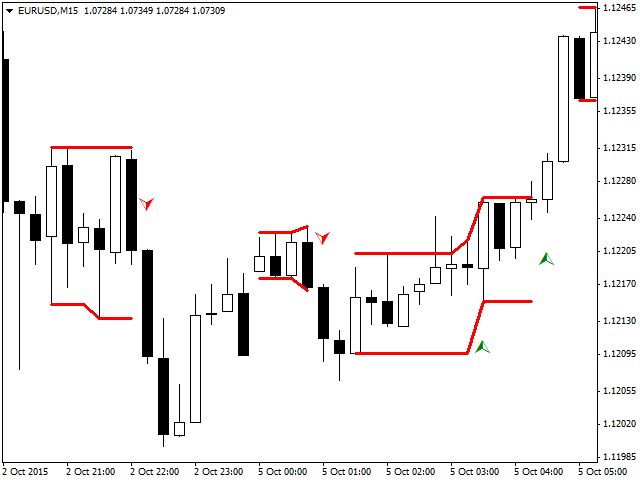 The indicator can be used with strategies that are based on the successful way out from the flat or as a signal filter. The indicator works on bar closure, the visual breakdown of line indicator during the formation of the bar is not considerable. max_high_shift - The parameter that limits the expansion of the channel from the upper level - the higher the value, the more the channel is expanded. 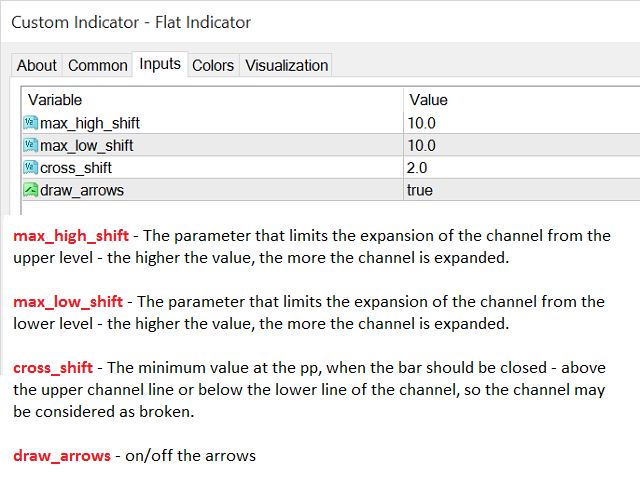 max_low_shift - The parameter that limits the expansion of the channel from the lower level - the higher the value, the more the channel is expanded. cross_shift - The minimum value in points, when the bar should be closed - above the upper channel line or below the lower line of the channel, so the channel may be considered as broken. Hi. I buy Flat Indicator, but i can't to donwload it. Could you help me, please?